Pests can be a distraction and a pain for government entities. It’s difficult to find a pest control company that can deliver results as well as the necessary documentation. Thorn is here to help and well versed in providing excellent service for government entities. Government contracts are often large facilities with a variety of needs. It may be difficult to ensure that your pest control company is doing good work. Thorn provides a system of checks to make sure we are doing exactly what we said we would and getting results. We do this by proactively checking records, performing site audits, and documenting all pest infestations to see trends and results. We do this by providing detailed inspections and inspection reports, monitoring for pest activity, and keeping pests out through exclusion. 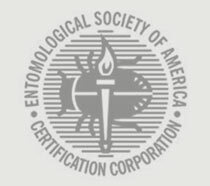 Know what's happening and show pest program effectiveness. Rodents can be one of the most problematic pests for government facilities. As rodentologists, we study mice so that we can expertly protect your facility. We understand rodent behaviors and we know how to get results. 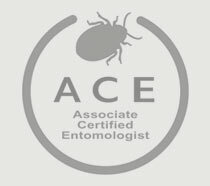 Bed bugs have become a real problem for many facilities. Any area where people sit or sleep for long periods of time is at risk. We have solutions to detect, prevent, and eliminate bed bugs in office settings. Make your life easier – get results and clear documentation. We can help protect your government facility from the disruption of pest infestations. We have government facilities that require monthly services and some that require daily services. It really depends on what is needed. We’re here to make getting started and maintaining your pest control is as simple as possible. Enjoy quality you can rely on.